Archie and Sabrina’s next big relationship goal: changing their comic’s name. The milestone launch of Archie #700 brought with it not just a new creative team, but a major new addition to life in Riverdale in the form of Sabrina Spellman, that teenage witch you’ve been hearing about so much. But now, Archie and Sabrina’s lives are becoming so intertwined, their relationship is evolving Archie as a series too. Revealed by Decider today, issue #705—due out in May and written by Nick Spencer, with art by Sandy Jarrell—will start a new chapter of the ongoing arc that has currently seen Sabrina and Archie start dating in private, much to the chagrin of Betty and Veronica, who have been attempting to find out just who Archie’s new girlfriend really is. And with that new chapter, which will see Archie and Sabrina’s relationship become public, Archie the comic will be no more: because the series will officially become Archie and Sabrina. Veronica Fish’s full cover for Archie and Sabrina #705. 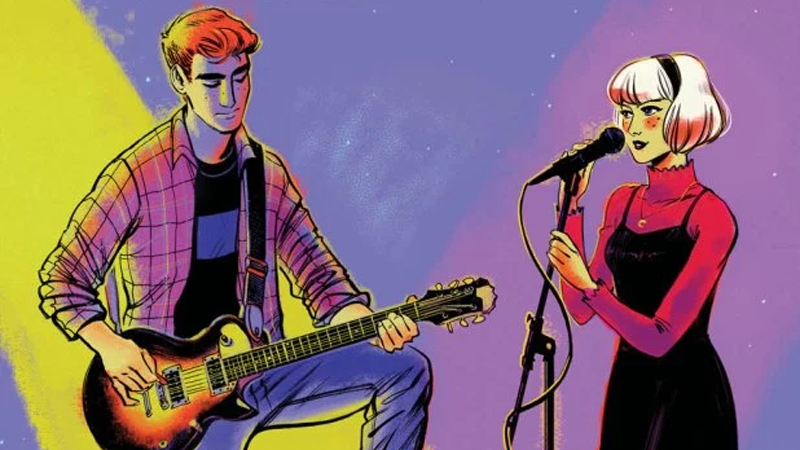 Archie Comics hasn’t said just how long the name change will last—if it’s just for the latest arc, or if it will persist for however long Archie and Sabrina’s relationship lasts, we don’t know. Romantic lives in Riverdale are frequently tumultuous, so while this is a major step for Archie and Sabrina, who’s to say how long their blossoming romance will continue? But even if the title is inevitably a temporary change, it’s still a good way to have the series title reflect the journey these characters are going on together. Archie #705—err, sorry, Archie and Sabrina #705—will hit shelves in May.